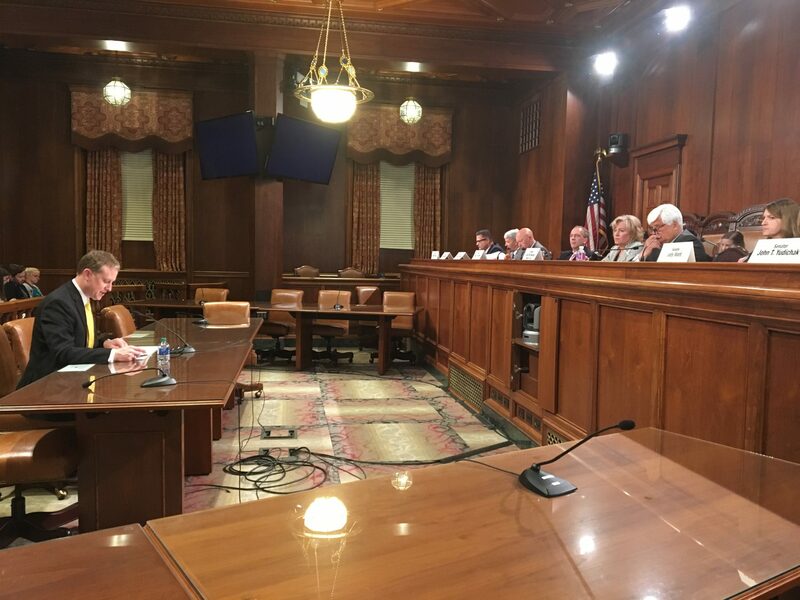 Republican Senator Ryan Aument testifies in favor of his bill to save two of Pennsylvania’s five nuclear plants from early retirement. 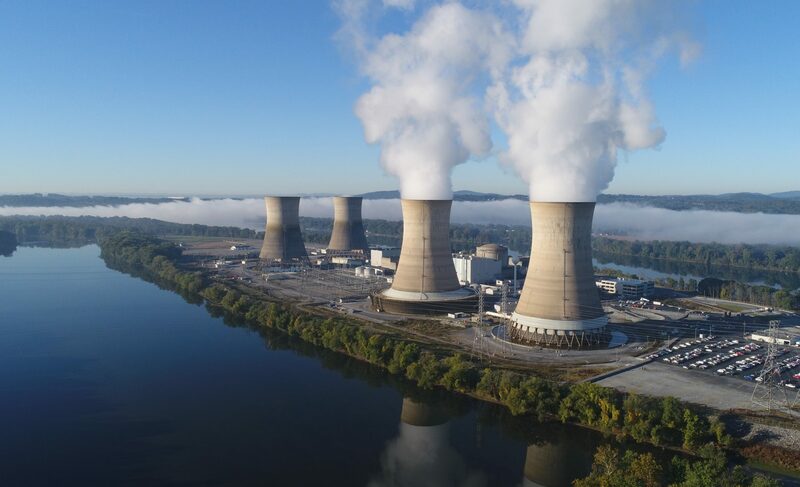 (Harrisburg) — A bill aimed at saving two of Pennsylvania’s nuclear power plants from early retirement is getting an expectedly mixed reception in the state Senate. That law requires electric utilities to buy power from clean sources, like wind and solar. By adding nuclear to the mix, proponents hope to bolster it in a market increasingly dominated by natural gas. Gas lobbyists argue nuclear plants are already mostly profitable, save Three Mile Island, which has only one reactor. Marcellus Shale Coalition President Dave Spigelmyer said giving them a leg up is unfair. The bill is expected to add about $1.53 per month to the average consumer’s electric bill, according to the Public Utility Commission. He is basing that assessment on an analysis from the Brattle Group, which studied potential impacts of all five of the commonwealth’s nuclear plants shutting down. The researchers reported that the reduction of in-state energy production would likely drive electric utilities to purchase power from other states at a markup to consumers. That, they estimated, would result in a markup of around $6.6 billion over 10 years — about 37 percent of which would fall on residential customers. A parallel bill in the House has gotten similar responses. The Senate version has a few major differences. For one, it includes a provision that requires a nuclear plant to refund money from the AEPS credit if it fails to produce electricity. And it gives non-nuclear resources more opportunity to use the new tier 3 credits — a potential boost to renewables. Without intervention, the Three Mile Island nuclear reactor near Harrisburg is expected to close in September. The Beaver Valley plant outside Pittsburgh faces a 2021 retirement.